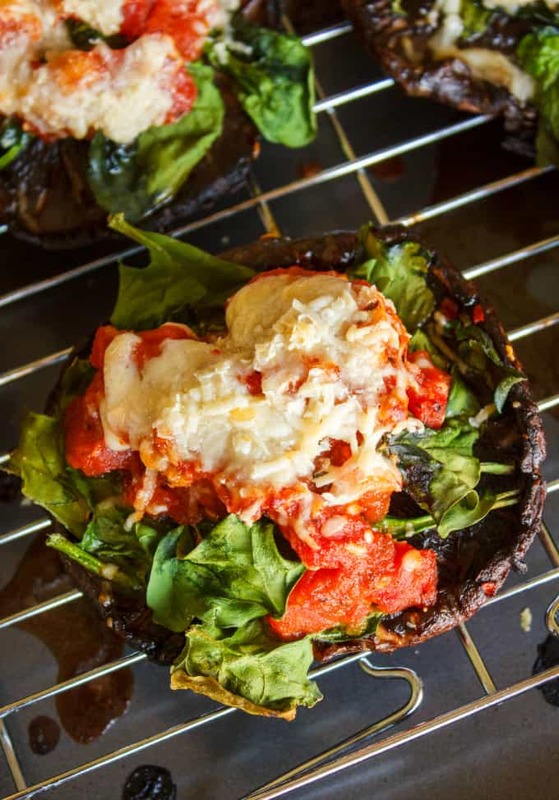 Another day, another contribution to our #2meals1recipe project! 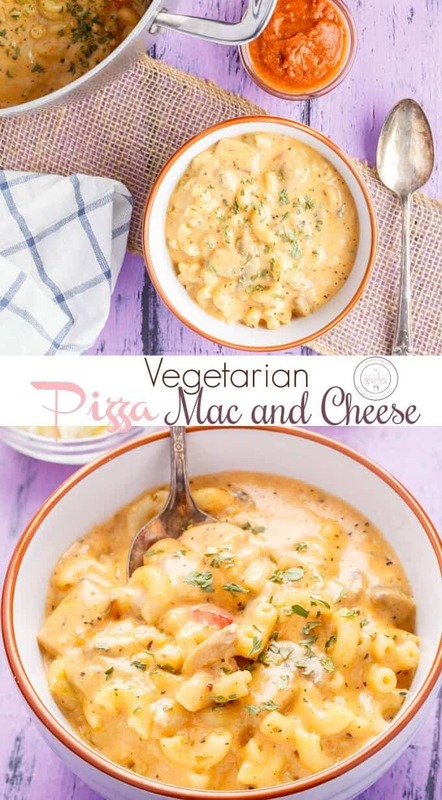 I am back with the vegetarian version of yesterday’s homemade pizza mac and cheese recipe! 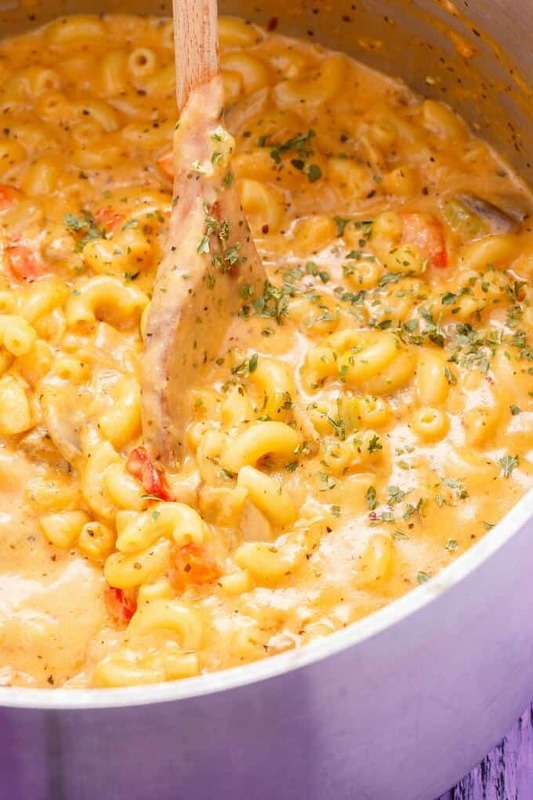 Doesn’t this homemade vegetarian pizza mac and cheese look AMAZING?! While I could not try the meat version, I have to say, this is by far my favourite mac and cheese I have ever made! 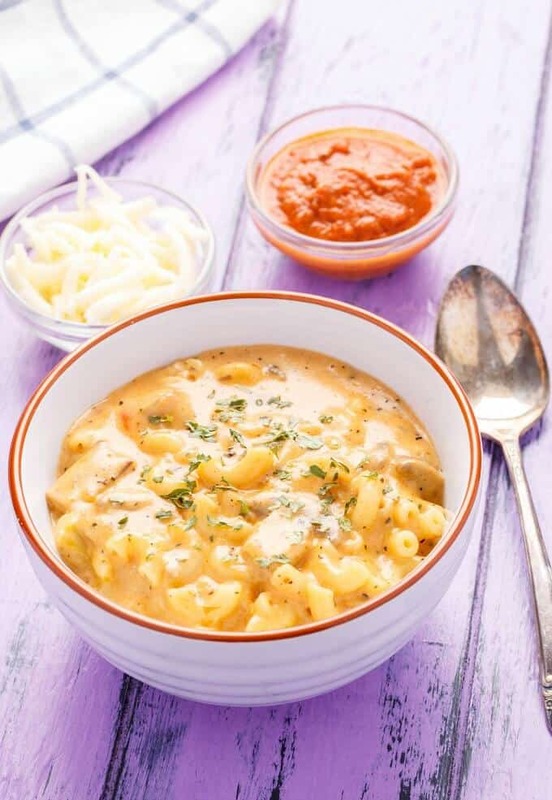 Rich, creamy, and it tastes like pizza and mac & cheese! That being said, when I am really, REALLY craving cheese, I turn to macaroni and cheese. 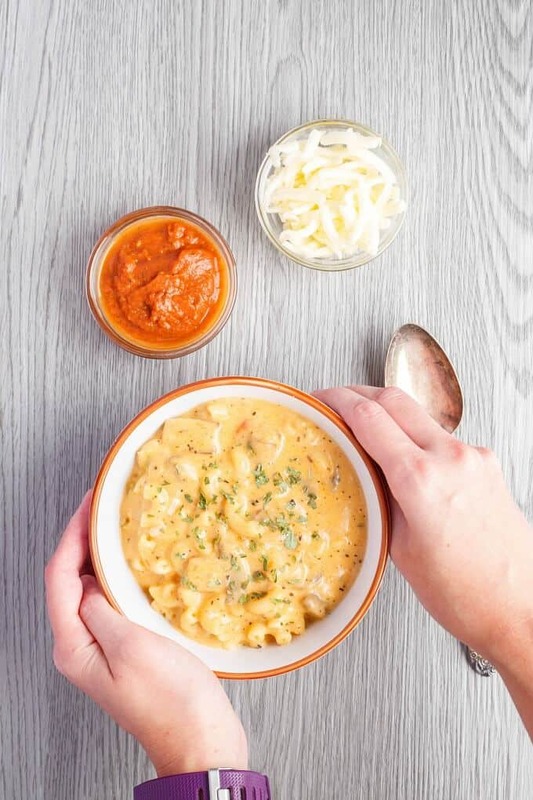 Now, this vegetarian pizza mac and cheese yields A LOT. Since I made this dish the same day as the meat one, I was left to the veggie one on my own. 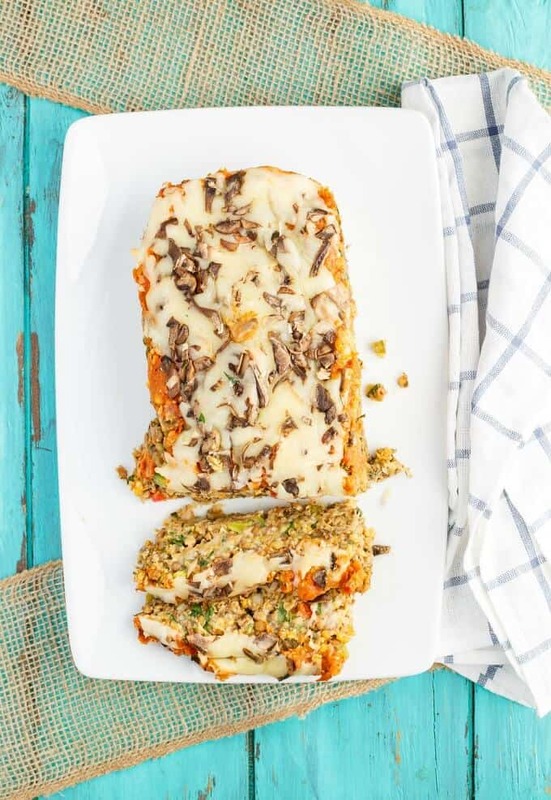 And you can just imagine how many days it took me to eat this… However, if you are making this recipe for a family, well, you will probably still have leftovers, lol. Don’t say I did not warn you! 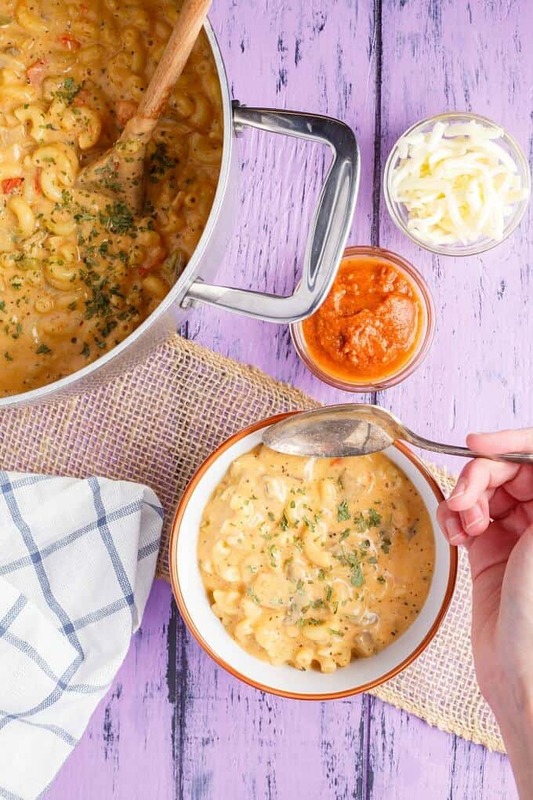 Comfort food is all the rage during the cooler months! 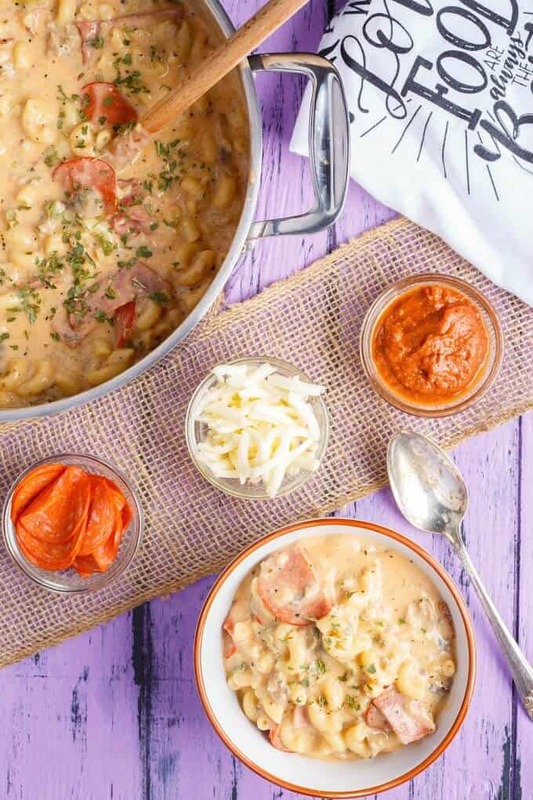 This homemade vegetarian pizza mac and cheese combines two favourite classic meals into one amazing dish! In a large pot over medium-high heat, add olive oil. Stir in onion, bell peppers, and mushrooms. Cook for a few minutes and stir in garlic. Cook until veggies are tender to your liking, about 10-15 minutes. Stir in salt, pepper, oregano, basil, and chili flakes. Lower heat to medium. Add butter. Once melted, stir in flour. Cook, stirring almost constantly, for about 5 minutes, or until browned. It will stick, so put some elbow grease into it! Pour in milk and mustard. Stir to get all the brown bits off the bottom of pan. Continue stirring occasionally until thickened and just beginning to bubble. Stir in pizza sauce. Carefully and slowly add some of the sauce to the beaten egg, whisking constantly so you do not scramble it. Once combined, add back into pot and add cheese. Give it a good stir. 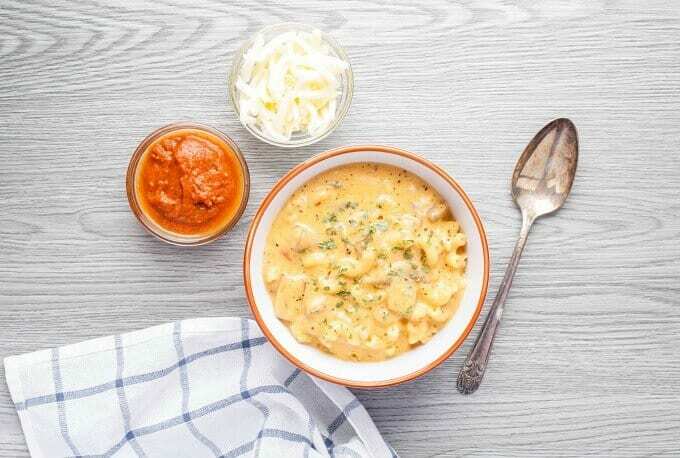 Once cheese is melted and smooth, add the cooked pasta, toss well, and serve! You can prep some of the ingredients ahead of time so you are just left to throw the dish together the day of cooking!